It's almost May and you know what that means don't ya? The final days of school are coming to an end soon for our kids! I can't even believe another school year has flown by and it's almost summer break. But before we start celebrating the fact that school's out, let's take a moment to remember those wonderful human beings that care for our children while they are at school. 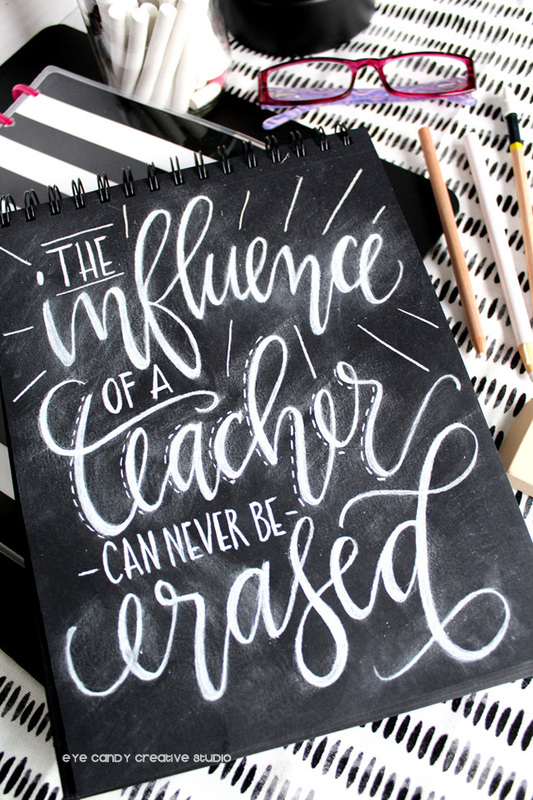 That's right, let's give it up for all of those teachers out there and honor them during Teacher Appreciation Week! You all are saints in my book and I feel you deserve a raise, a medal and whatever else you want but for now, we will start with today's FREEBIE! 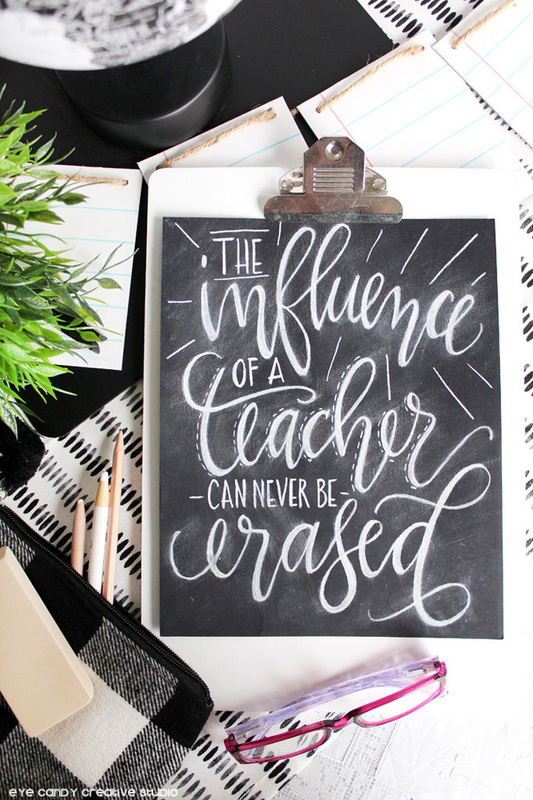 I designed this hand lettered art print with the classroom in mind and busted out my chalk and black paper sketchbook to come up with this latest art print: the influence of a teacher can never be erased! 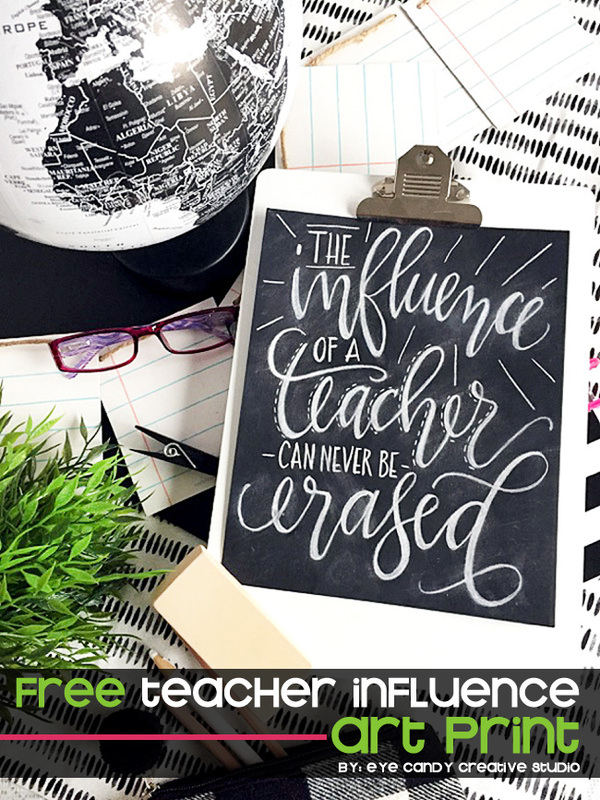 To grab this FREE art print to enjoy in your decor, just head on over to the Giggles Galore blog (where I am a monthly contributor) and print this "Teacher influence" hand lettered art print for YOUR kids' teachers. It's available here for FREE and while you are over there, check out her blog as she has some amazing craft and party ideas as well that you will love! 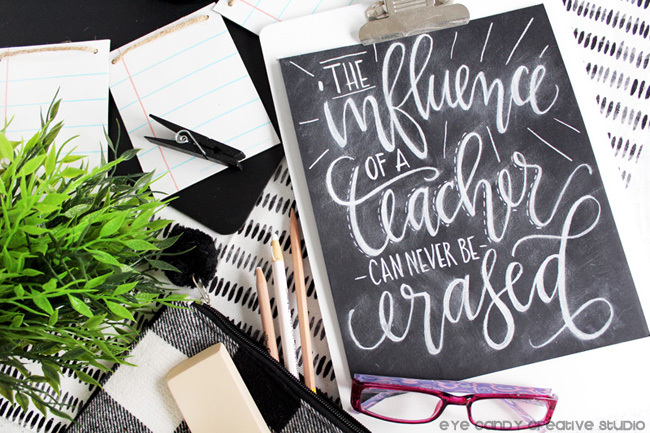 Also, I wanted to remind you that I also offer CUSTOM hand lettered prints, decor, wood signs and anything else you would like hand lettering done on so just ask and I can make it happen! 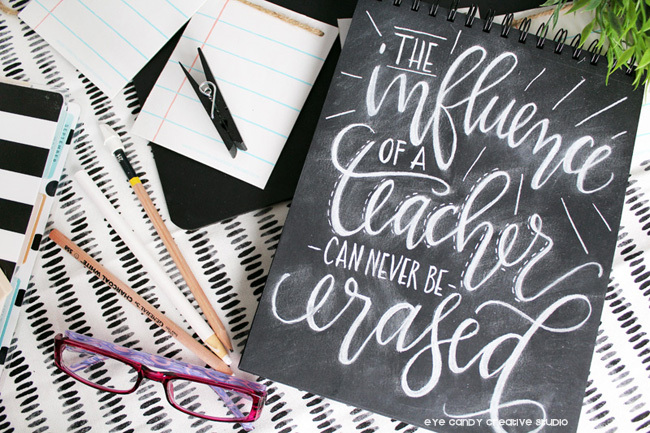 THANK YOU once again to all of the amazing teachers out there! We love you!